I got approached by a national greeting card company to work with them on a new humor line they are starting up. It’s in the early stages, but so far I’ve been having fun getting to doodle for pay! 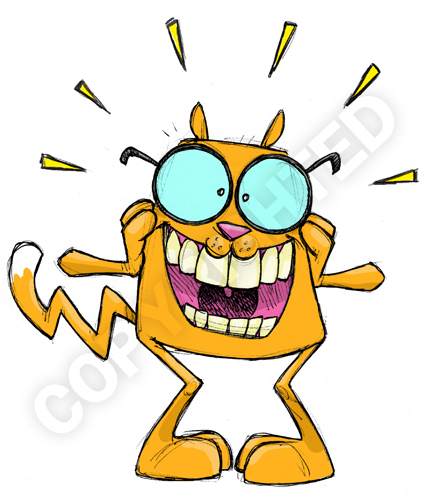 First up is this giddy kitty. And from the excitement level it’s demonstrating and the awkward way it’s standing, I’m just hoping it has strong bladder control, because my blog is not litter box equipped.